"I view psychotherapy as a conversation in which each participant plays an active role. Every course of treatment is different because it must be specifically tailored to a unique individual. I strive to provide a warm, respectful, and empathic relationship within which it becomes more possible to make desired changes. People often wish both to understand themselves better and to take action in certain ways that will improve their lives. My style of doing therapy supports insight and behavior change through a combination of mindful awareness, action oriented techniques, and EMDR (Eye Movement Desensitization and Reprocessing). Psychotherapy with me might take just a few sessions or a number of years, depending on a person's goals. I am particularly interested in working with women's issues, including eating and weight concerns, self-esteem, relationships, work/life balance, and the creative process. In our culture women are particularly likely to internalize harsh and perfectionistic standards for themselves that create anxiety, and my work often involves the cultivation of greater compassion for the self. " Mary Connors received her Ph.D. from DePaul University and has a Diplomate in Clinical Psychology from the American Board of Professional Psychology. She was a professor at the Illinois School of Professional Psychology and taught there for two decades. Dr. Connors is Co-director of Integrative Health Partners, and has over 30 years of experience as a psychotherapist. 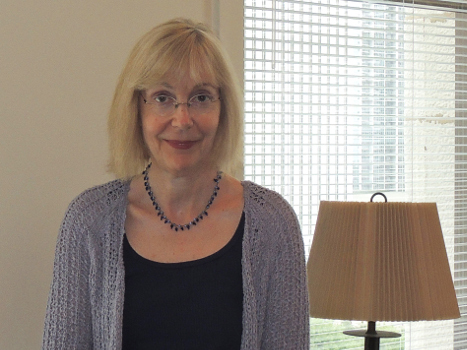 Much of her teaching, writing, and supervision has focused on integrative psychotherapy. She has written a number of journal articles and book chapters, coauthored The Etiology and Treatment of Bulimia Nervosa: A Biopsychosocial Perspective, and is the author of the book, Symptom-Focused Dynamic Psychotherapy (The Analytic Press, 2006). Connors, Mary E. (2010). 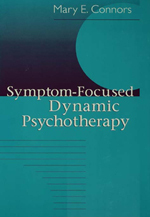 Symptom-Focused Dynamic Psychotherapy. Journal of Psychotherapy Integration, 20(1), 37-45. The advent of the relational perspective in psychoanalytic theory has opened up exciting new prospects for integrative psychotherapy. My own integrative model draws on self psychology and attachment theory for ideas about development and treatment, but also posits the need for active techniques at times to help with troubling symptoms. In addition to using interventions from behavioral and cognitive behavioral traditions, my treatment approach has been evolving to include a variety of mindfulness based strategies. In this article I focus on interventions I use most often to help patients with two major domains: self regulation (which includes affect management and perspective on the self), and self-initiated behavior change. Case examples illustrating the interplay of symptom-focused work and more dynamic exploration are provided. Connors, Mary E. (2011). Attachment theory: a “secure base” for psychotherapy integration. Journal of Psychotherapy Integration, 21, 348-362. Attachment theory is well positioned to serve as a foundation for assimilative psychotherapy integration. It has an exceptionally strong empirical base and provides a life span developmental framework often absent in current treatment models. Attachment theory focuses on the need for proximity to a sensitive caregiver in childhood who provides a sense of security and a safe base from which to explore. Affect regulation and relational behavior in later life are greatly affected by the vicissitudes of attachment relationships, with significant implications for psychopathology and psychotherapy. Attachment theory should help bridge the current gap between researchers and practitioners because it underscores the centrality of relationship in the therapeutic process but possesses a long tradition of empiricism. I propose three criteria that a foundational theory requires at this time and suggest that attachment theory satisfies them with its breadth of explanatory power, strong research base, and potential for integration with a wide array of other methods. Connors, Mary E. (2011). Integrative symptom-focused dynamic psychotherapy. Clinical Social Work Journal, 39, 122-131.. Early psychoanalytic perspectives were characterized by an emphasis on purported unconscious processes that contraindicated direct interventions with symptoms. However, the modern relational psychoanalytic approach offers a sophisticated base for the assimilation of action-oriented techniques. I provide a rationale for including a direct focus on symptoms in some treatments and argue that symptom intervention alone will be insufficient in many cases. My integrative model permits direct work with symptoms as well as an appreciation of their biopsychosocial etiology within a particular context. Symptom-focused dynamic psychotherapy is informed by current relational perspectives including attachment theory and self psychology. Action-oriented techniques from the cognitive– behavioral tradition may be incorporated on the basis of the patient’s needs and the intervention’s usability within a particular therapeutic relationship. Integrative treatment fosters the development of a consolidated and integrated self and promotes secure and balanced relationships with others. Connors, Mary E. (2001). Integrative treatment of symptomatic disorders. Psychoanalytic Psychology, 18, 74-91. Symptomatic disorders such as substance abuse, eating disorders, depression, and anxiety states can cause significant life impairment in patients. The author proposed that an optimally responsive, analytically oriented treatment for an individual with symptomatic distress may involve the use of active symptom-focused techniques. Reduction of symptomatic problems strengthens the self and facilitates deeper levels of self-exploration and therapeutic involvement. Techniques originating in behavioral and cognitive-behavioral orientations may be implemented in an analytically informed treatment and adapted accordingly. Current psychoanalytic models such as self psychology and some other relational approaches that emphasize the importance of empathic appreciation of a patient's perspective and optimal responsiveness to the individual can encompass such an integrative approach. Connors, Mary E. (1997). The renunciation of love: Dismissive attachment and its treatment. Psychoanalytic Psychology, 14(4), 475-493. The developmental insights of attachment theory as applied to children and adults suggest that insecure attachment correlates with relational difficulties over the course of time. Specifically, individuals with an avoidant attachment style who have been rebuffed by caregivers in childhood will be defensively constricted and unable to love in adulthood. These patients present particular challenges in treatment because they have become organized around avoidance of affect and relationship. Theories of treatment and technique that seem related to the successful resolution of such difficulties are discussed. Curative factors include a focus on defenses against relational longings, interpretation of and provision for certain selfobject needs, and a relatively high level of therapist self-disclosure. It is suggested that an integration of the findings of attachment research with relational theories that focus on treatment has potential to advance psychoanalytic thinking. Connors, Mary E. (1994). Symptom formation: An integrative self psychological perspective. Psychoanalytic Psychology, 11(4), 509-523. The emergence of a relational perspective in psychoanalytic thought suggests the need for new paradigms of symptom formation. In addition, biopsychosocial data on the etiology of a number of specific disorders have been accumulating. Self psychology is proposed as a relational model of psychopathology that can be incorporated into a biopsychosocial paradigm of symptom formation for Axis I disorders. Four specific pathways to symptom formation are outlined. The first consists of a self-state of impending fragmentation that is then warded off through involvement with a substance or activity, as in addictive disorders. The second denotes a state of fragmentation without a behavioral means of self-restitution other than avoidance, seen in anxiety disorders. The third involves the use of a symptom as a compromise formation among conflicting impulses as a result of psychological trauma, as in dissociative and somatoform disorders. In the final pathway that I outline, symptoms such as depressive states and work inhibitions result from an internalized conflict between maintaining needed relationships and pursuing self-differentiation. Both internal conflict and developmental deficit are central in the genesis of symptomatic disorders. Johnson, Craig; Connors, Mary E., and Tobin, David L. (1987). Symptom management of bulimia. Journal of Consulting and Clinical Psychology, 55(5), 668-676. This article describes a treatment approach for the symptom management of bulimia that is a synthesis of various techniques, including cognitive-behavioral therapy, response prevention, relapse training, and psychodynamic therapy. The model has been a useful teaching tool for both staff and patients in both group and individual formats. In addition to describing the treatment model, this article briefly addresses some of the challenges of integrating behavioral and psychodynamic interventions in the treatment of this patient population.